“Please Papa can I go. Down to Richmond to the traveling show. Please Papa don’t you say I can’t. I just want to see the elephant.” See The Elephant, music and lyrics by James McMurtry. I’m not a lucky person. I’ve never won the lottery, not even a five-dollar scratch-off. And when it comes to art, I’d have better luck at a raffle drawing than drawing an object, portrait, or thing. 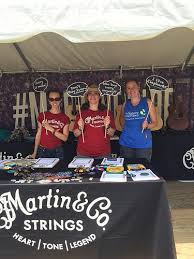 But this past weekend, I found myself in front of a booth run by Martin Guitar being invited to enter a contest that would require both luck and artistic talent to win. Let me first go on record as saying, “I am not Lynyrd Skynyrd fan.” But I have some things in common with those men from Alabama that defined Southern Fried Rock. They claim to have named the band after their gym teacher, a man named Leonard Skinner. I had a gym teacher in the early 70s named Leonard Wiester who we called Lynyrd. And despite the lyrics of their enduring radio hit “Sweet Home Alabama,” which vilifies Neil Young, the band’s late leader Ronnie Van Zandt apparently had deep affection and affinity for Mr. Young, as do I. And of course, like most music fans who have been attending live performances for decades, I am fascinated by the cult of Freebird–the most-requested song in the history of music. The song title that the most obnoxious or drunk audience member (usually the same thing) predictable shouts out during a concert’s most poignant or pensive lull, hoping to elicit mild and perfunctory amusement from his (and it’s always a “him”) fellow concert goers, if not the performers (who must absolutely hate the Freebird intrusion). The Freebird moment has long grown stale, if not putrid, to the point where its begun to wane. And despite decades of louts abusing the title, the song itself remains immune from any spill-over stigma. When you think of Dallas, many images snap to mind. The grainy, jarring frames of Abraham Zapruder’s home movie, Lee Harvey Oswald doubled over from the blast from Jack Ruby’s pistol, Tom Landry stalking the sidelines of the Cotton Bowl in his suit, tie, and hat, the portrait of Jock Ewing hanging over Miss Ellie’s mantle at Southfork, Tony Romo’s smirk, Larry Hagman’s devilish grin as JR Ewing over two generations of Dallas, the soap opera. Trademarks, however, are not top of mind when you land at DFW or Love Field, not even as you make your way to the flagship Nieman Marcus in downtown Big D.